The ongoing trade spat between the U.S. and China, the world's two largest economies, has hit an array of sectors and the related exchange traded funds. Semiconductor stocks are near the top of that ominous list. As of Monday, Nov. 12, the widely followed PHLX SOX Semiconductor Sector Index was down 5.25 percent year-to-date with much of that weakness being accrued in recent weeks. As the White House threatened to levy additional tariffs on Chinese goods and momentum stocks fell out of favor in October, semiconductor stocks were hammered. Even with a 1.38 percent gain Tuesday, the PHLX SOX Semiconductor Sector Index is still sporting a fourth-quarter loss of nearly 11 percent. Weakness in semiconductor names benefits the bearish ETFs, such as the Direxion Daily Semiconductor Bear 3X Shares (NYSE: SOXS). 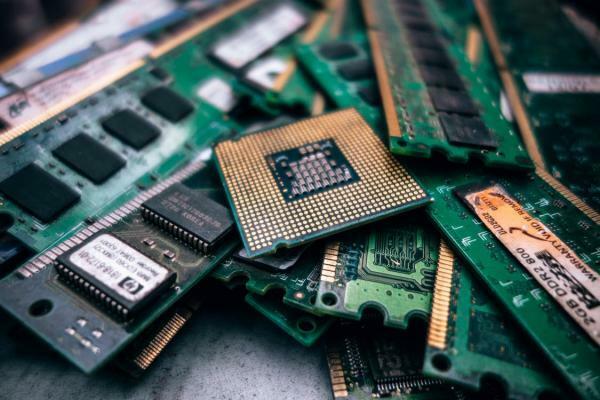 SOXS looks to deliver triple the daily inverse returns of the PHLX SOX Semiconductor Index, but the tide could be turning in favor of its bullish counterpart, the Direxion Daily Semiconductor Bull 3X Shares (NYSE: SOXL). Semiconductor ETFs, leveraged and non-leveraged, were boosted Tuesday by speculation that U.S. and China trade tensions could soon ease. President Trump and Chinese President Xi Jinping are scheduled to meet at the Group of 20 summit later this month, but chip ETFs, including SOXL, jumped yesterday on rumors that China’s Vice Premier Liu He is moving to set the stage for the Trump/Xi meeting. The bullish SOXL jumped 3.70 percent yesterday, but would still need gain more than 36 percent before reclaiming its 200-day moving average. In spite of SOXL's recent struggles, some traders have been sticking by the leveraged chip ETF and some were rewarded for that faith Tuesday. Over the past month, SOXL has been averaging daily inflows of $4.49 million, according to Direxion data. Time For This Retail ETF.